Cavities are one of the most common oral health conditions that almost everyone is going to experience at some point in their life. Millions of fillings are used on patients every single year to restore teeth back to their original strength and appearance. When patients would like to maintain the look of their teeth while still protecting their oral health, our West Hollywood white fillings specialist is here to provide nearly invisible fillings to our patients. Fillings have been used in the field of dentistry for many years. They are highly effective solutions to any number of health problems. Most commonly, they are used to fill in the area that has been left by a cavity. The decay must first be completely removed, which would result in a hole being left in the tooth. If this hole was not covered the tooth could lose its integrity or the decay could return once again. Unfortunately, many patients began to look to the services of our white expert on white fillings in West Hollywood for a number of benefits that they were not getting with silver fillings. Metal alternatives have two distinct disadvantages when compared to the tooth colored options that are offered by our West Hollywood white fillings specialist. First, they are highly visible once they are in place. The shiny metal appearance is dramatically stark when compared to the color of teeth. Secondly, many individuals report a very sharp sensation when other metals would touch these fillings. This is why our expert on white fillings in West Hollywood offers advanced and effective new options for those that need to restore the appearance and integrity of their teeth after a cavity or other form of decay. Not only will these fillings restore the strength and function of the teeth, they can be stained to match the color of the natural teeth in which they are placed. 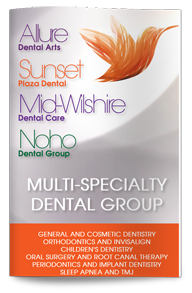 Our West Hollywood dentist is proud to offer a wide array of services that are going to get our patients the smile of their dreams and the best oral health of their life. 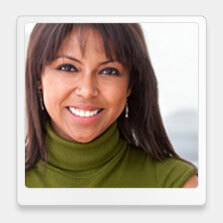 Contact our dental office today and begin the journey towards the smile that you deserve.